An absolute must see and do when you come to Hong Kong, is for sure the “Symphony of Lights”. We happened to go for two nights, as we enjoyed it so thoroughly the first time. 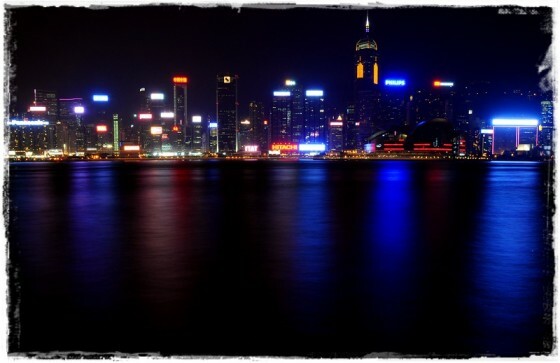 Once the sun has tucked itself in quite proper, and the hour reaches 8 o’clock, a cacophony of sounds and light come alive amid the skyscrapers across Victoria Harbor on Hong Kong Island. 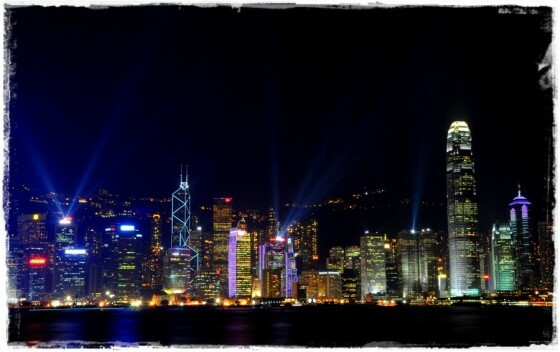 The best viewing spot is along the Avenue of Stars, a waterfront promenade on the Kowloon side, providing a spectacular view. The harbor herself obliges nicely with stunning reflective visuals, and an incessant stream of tugs, freighters and fish boats lucky enough to be in the vicinity. 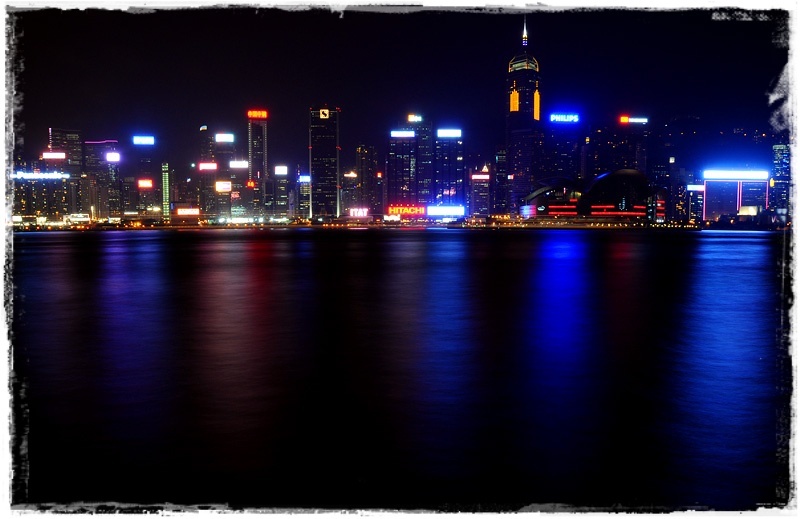 Hong Kong itself is a lively and energizing city, to come here alone is fortune, and to be blessed is to gaze at this skyline in the dark evening sky. Wow they are amazing pics… I don't think we could be more jealous!